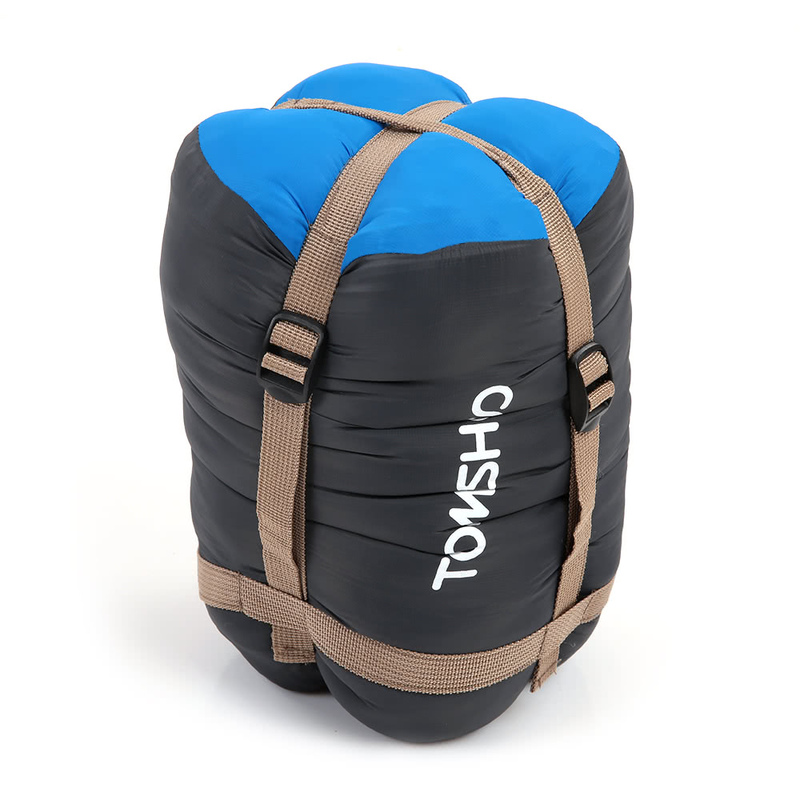 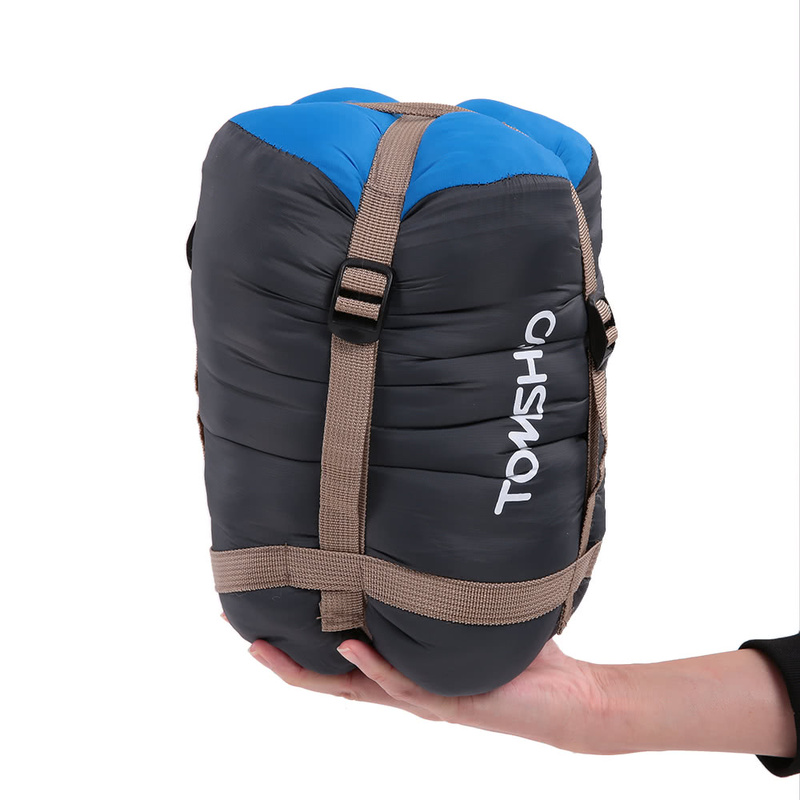 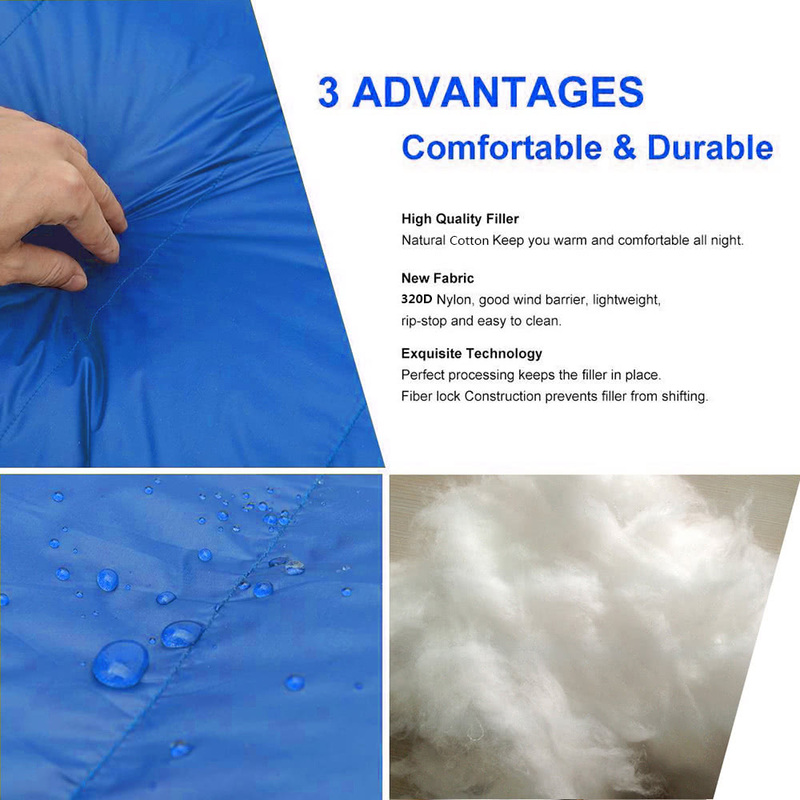 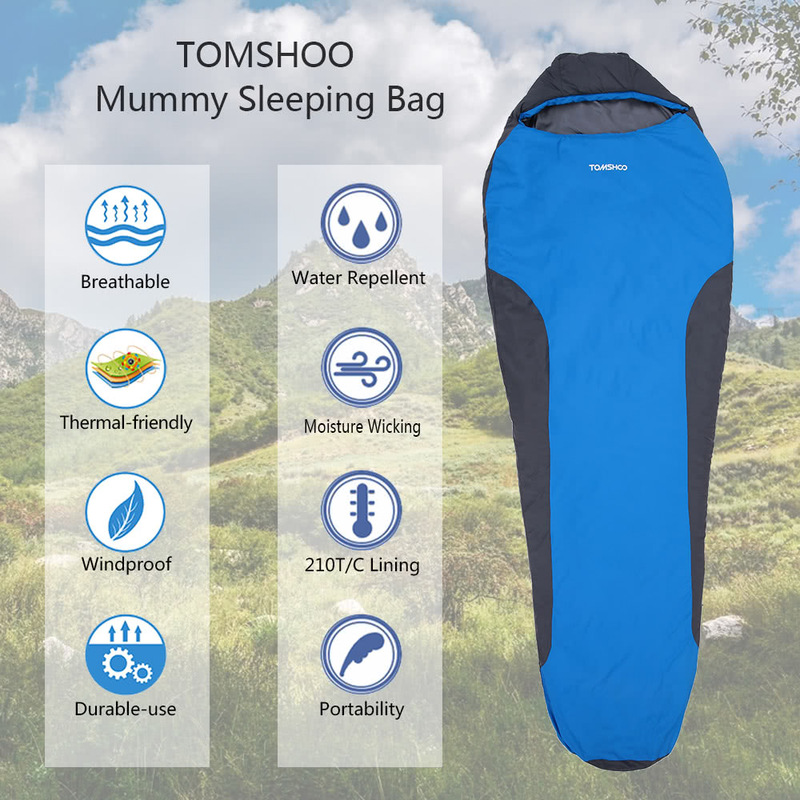 TOMSHOO mummy sleeping bag, designed for comfort and weight reduction, with its great thermal insulation performance, is a great sleeping bag for you to enjoy outdoor activities. 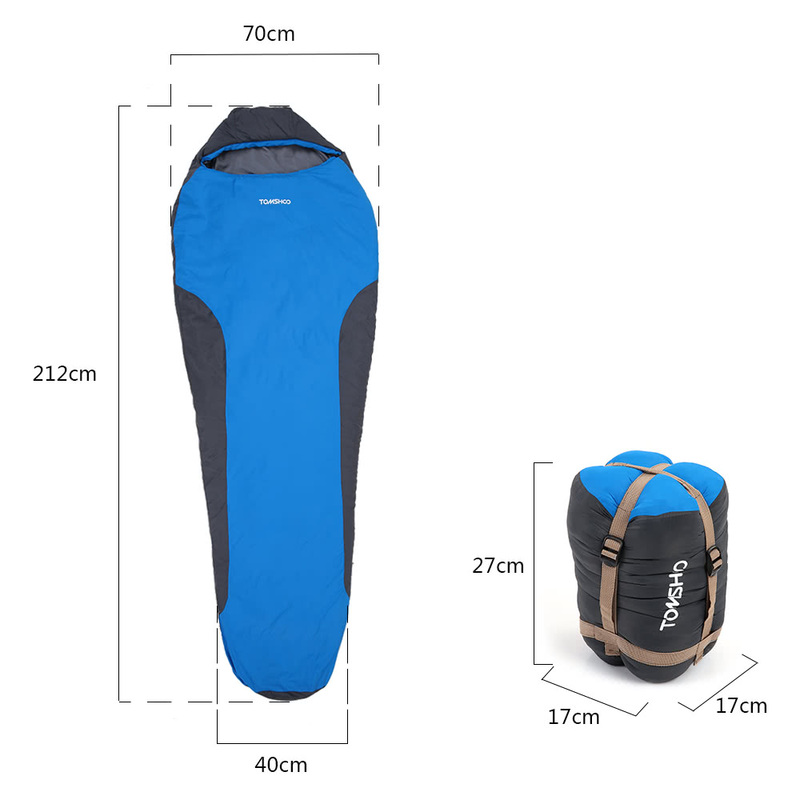 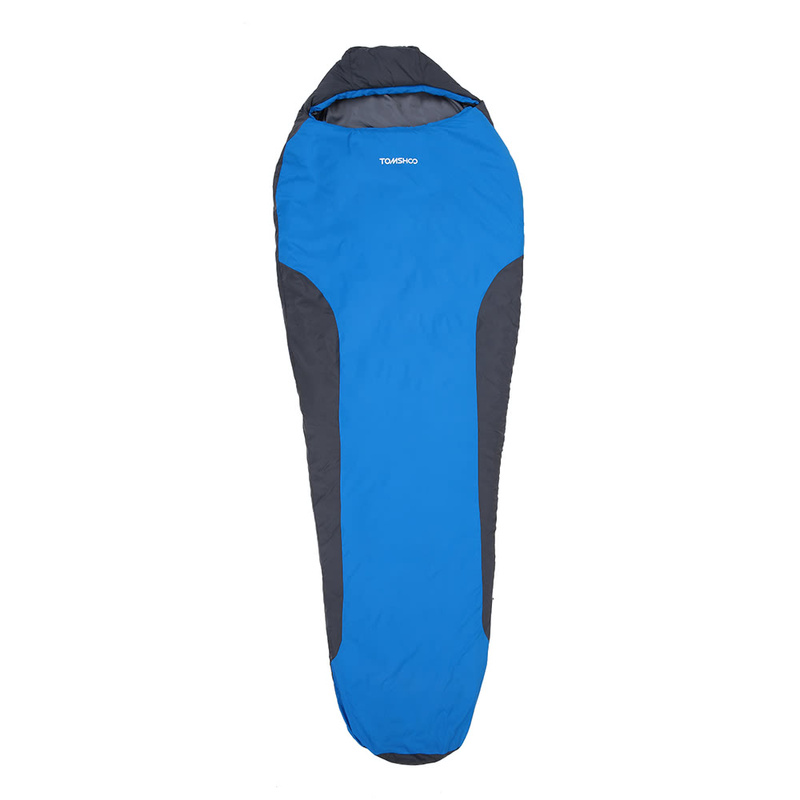 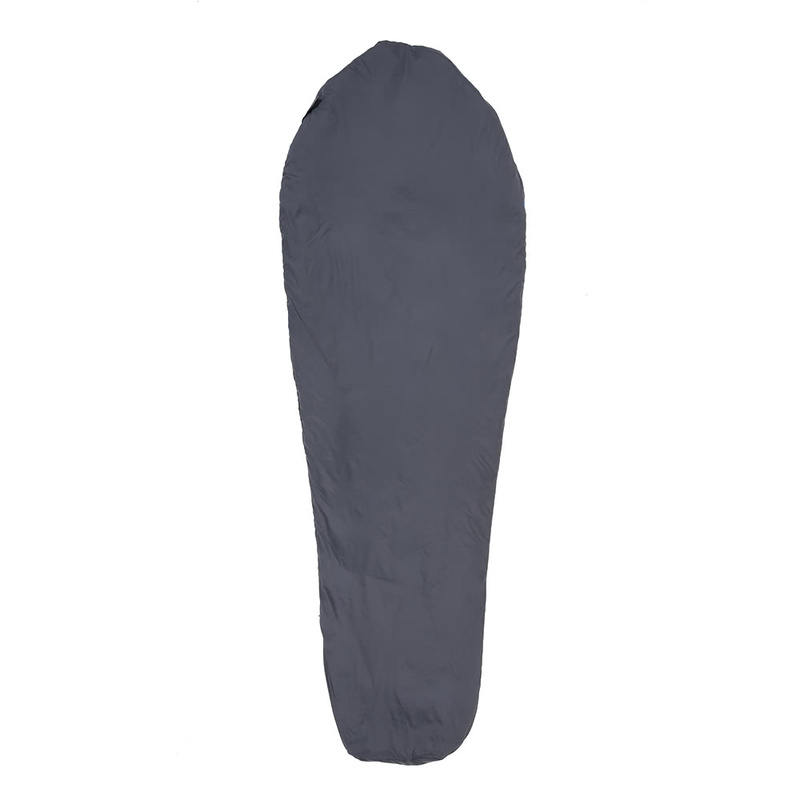 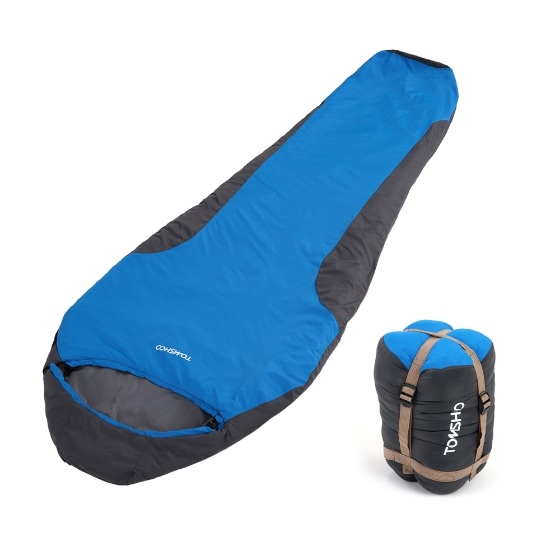 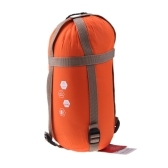 AMPLE SPACE TO SLEEP: measuring 83.5"/212cm long 27.8"/70cm wide 15.7"/40cm footbox, this sleeping bag provides ample space with a sturdy and smooth 2-way zip to conveniently access for all night long comfort you sleep in. 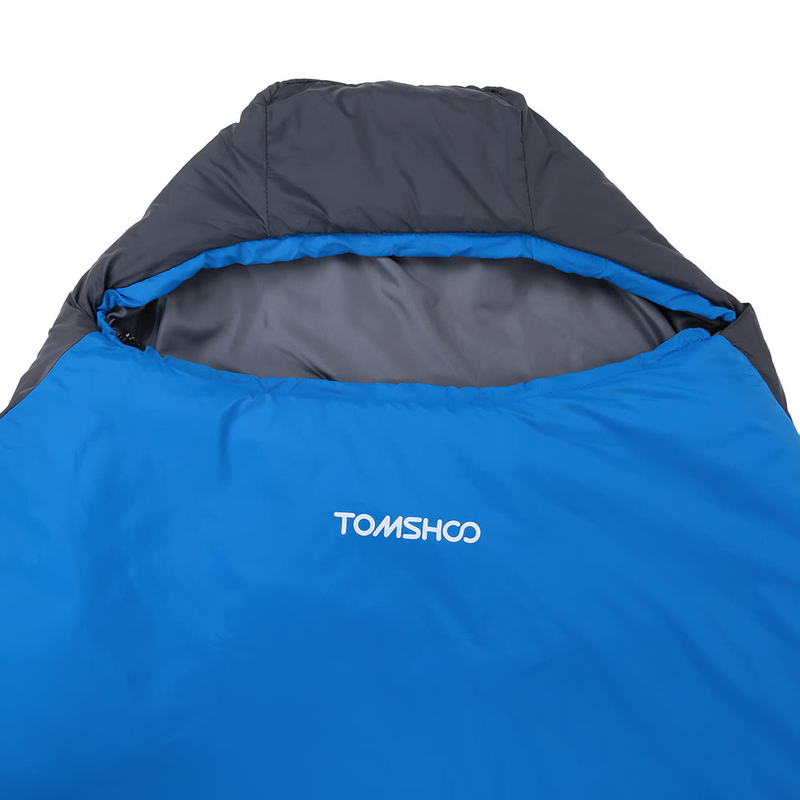 HIGH QUALITY MATERIAL: the outer shell is coated with 320D nylon, and the inner lining is 210T/C while fully filled with cotton. 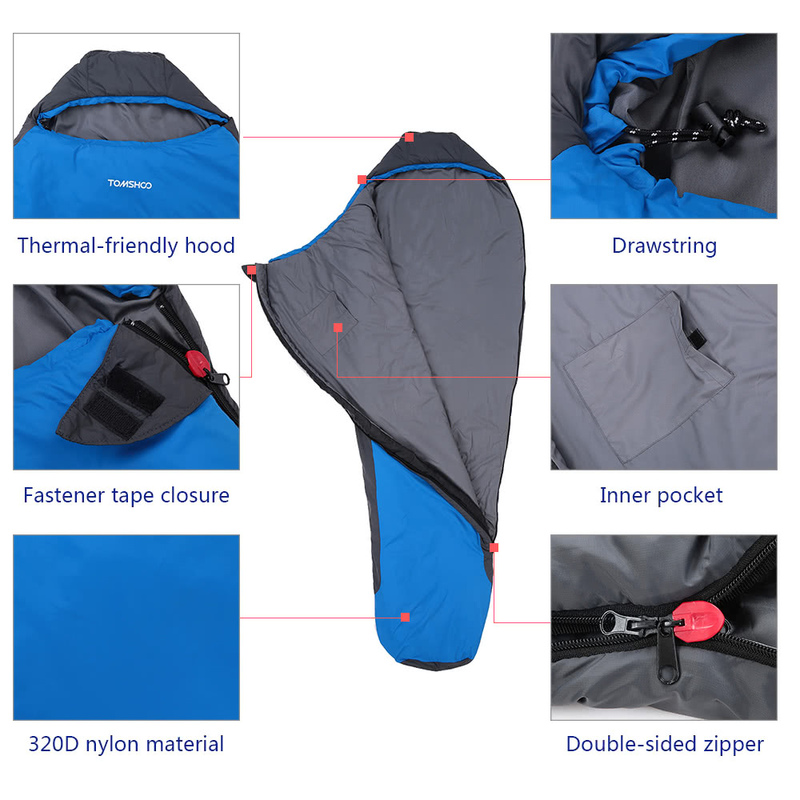 TEMPER RATING & USEFUL HOOD: provides long-hour comfort without losing heat from 32 degrees Fahrenheit to 41 degrees Fahrenheit, and a built in expandable hood locks the heat so as to keep you warm. 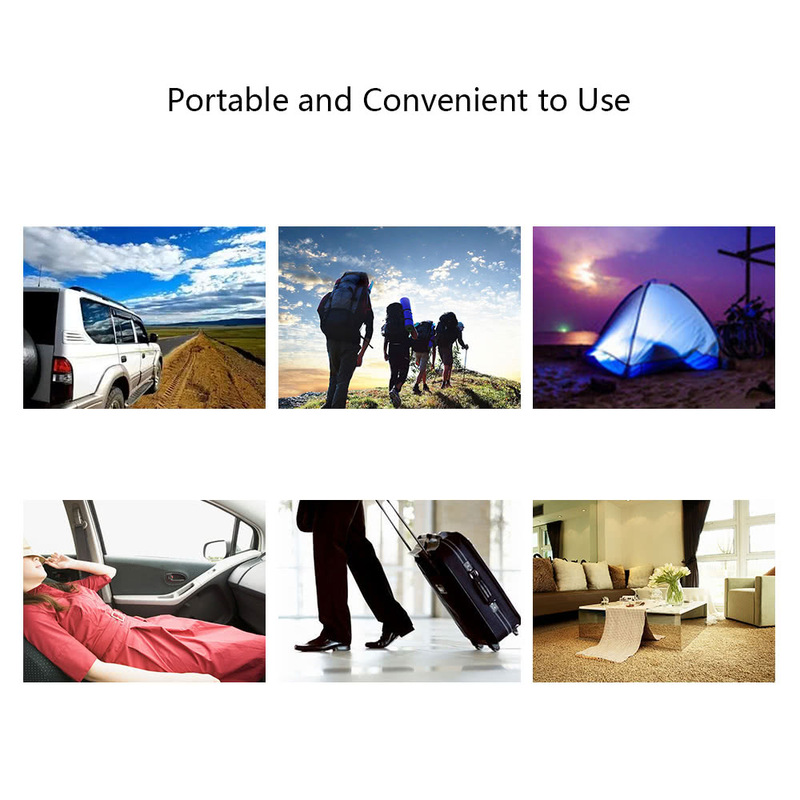 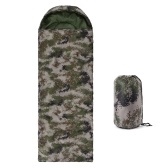 POCKET STORAGE & FOOTBOX: features the inner pocket to stash and organize the small items such as phones, watch or glasses while the footbox keeps your feet to a more natural sleeping position. 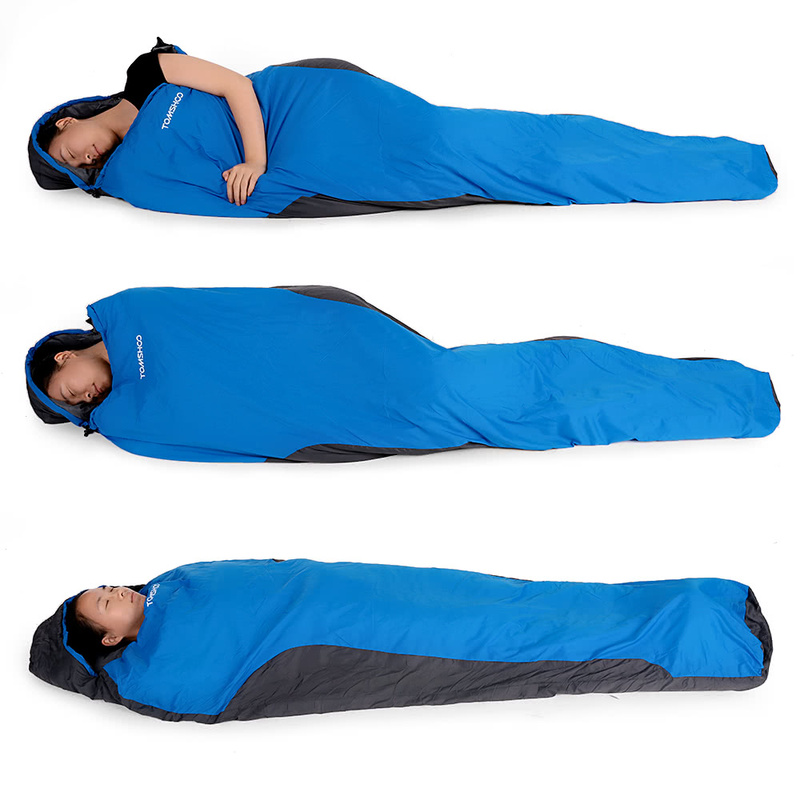 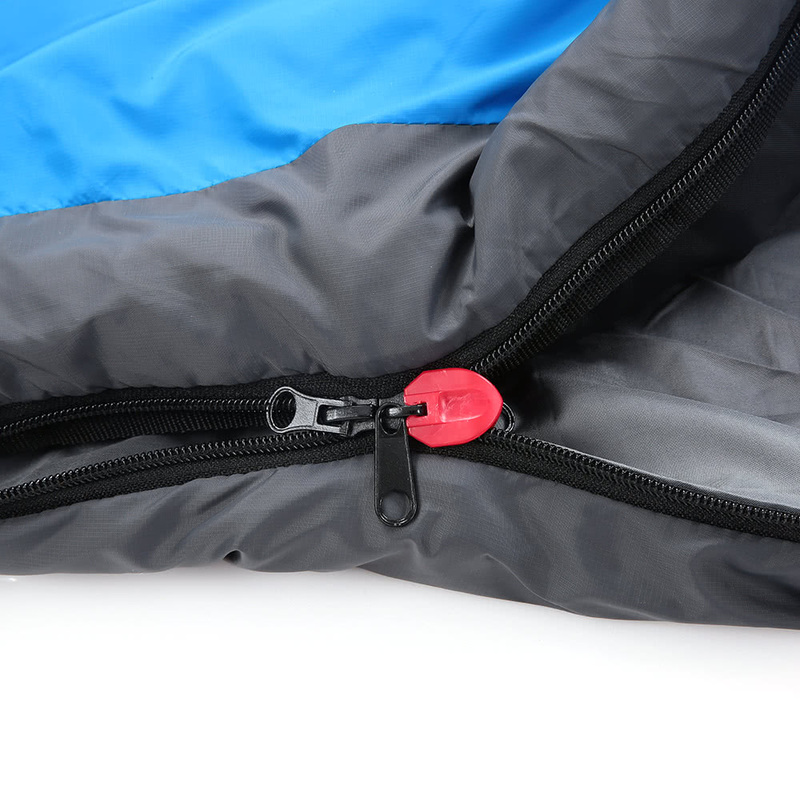 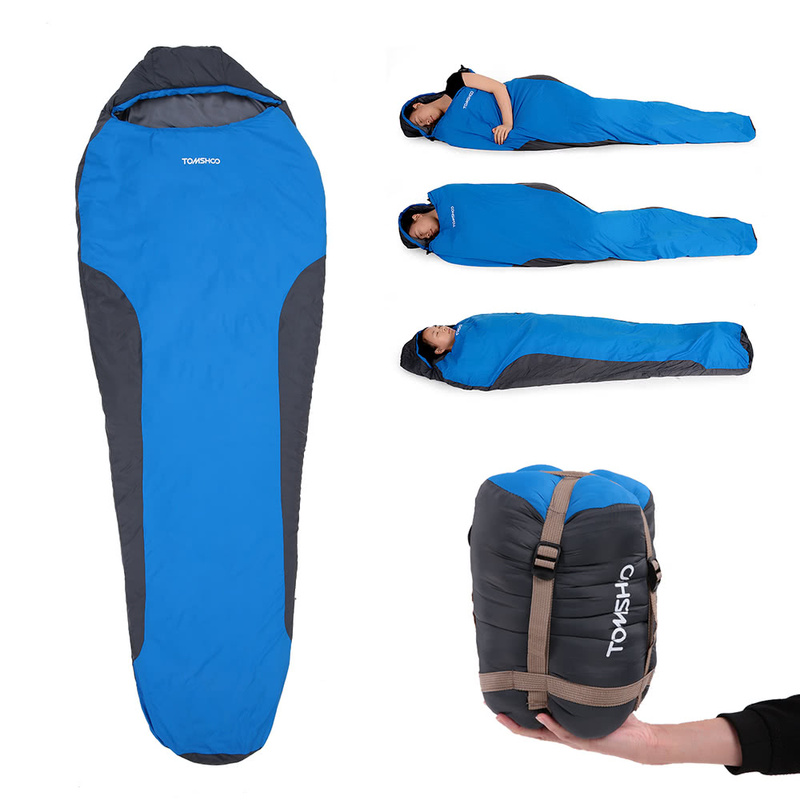 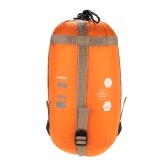 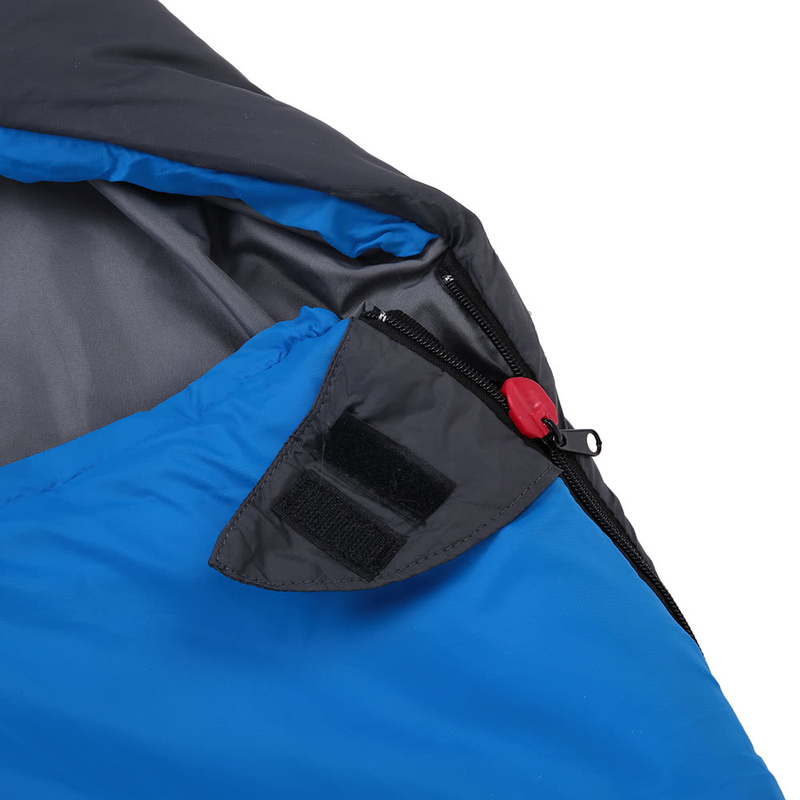 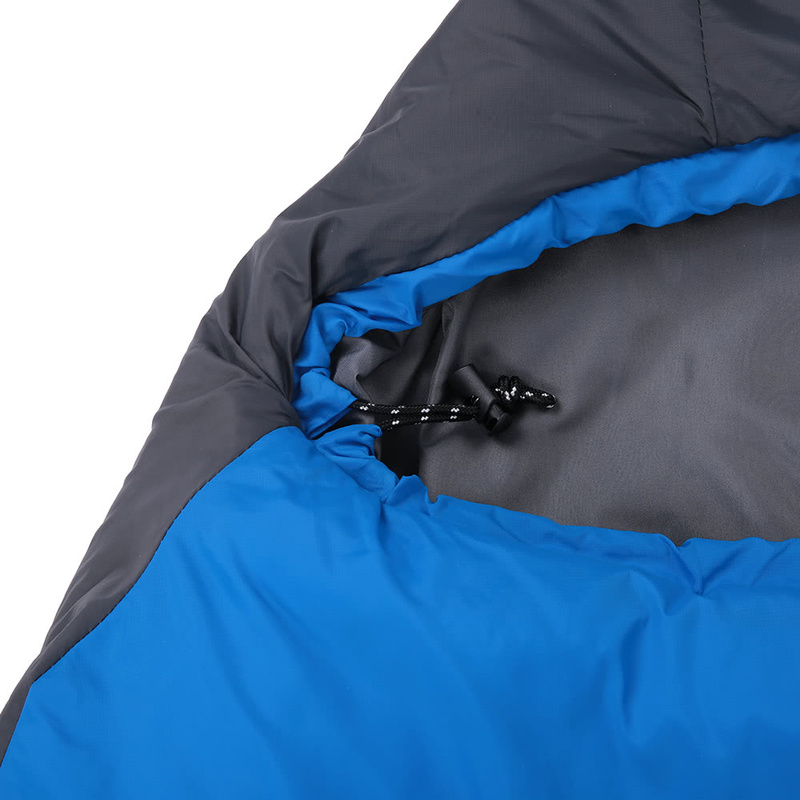 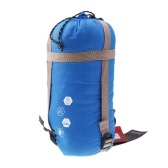 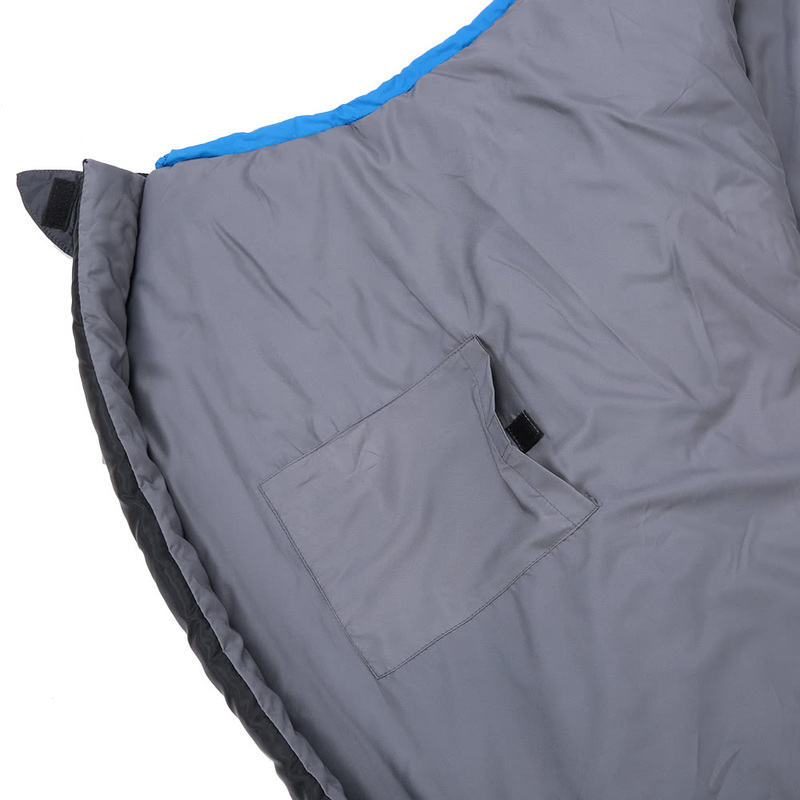 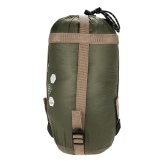 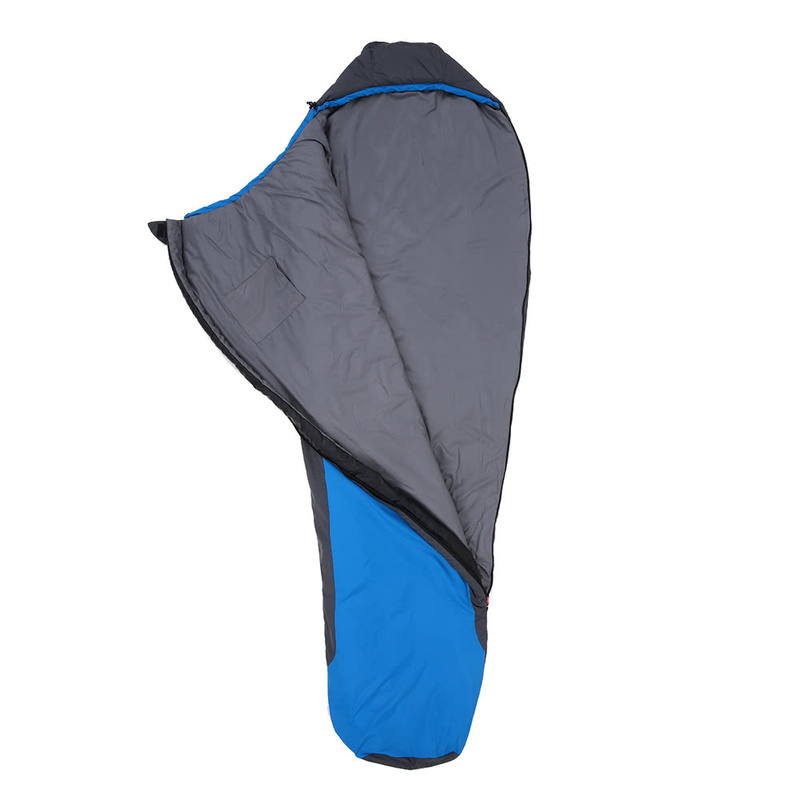 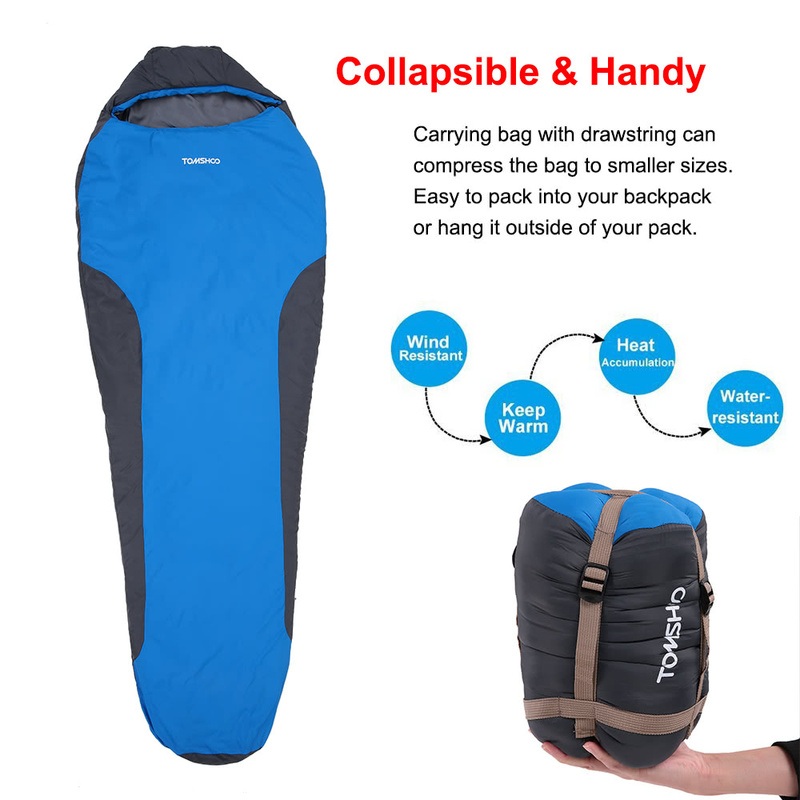 COMPACT & PORTABLE: this sleeping bag is easy to compress to a small packing size and can be stored in a compression sack.